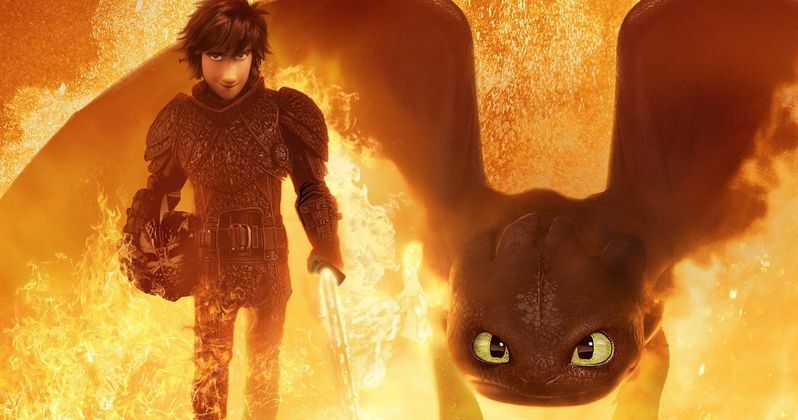 DreamWorks' How to Train Your Dragon: The Hidden World easily took the number one spot this weekend while giving the box office a solid boost. The $55.5 million debut is a franchise best and pretty rare for the third part in a trilogy. However, strong reviews and an "A" grade from Cinemascore have definitely helped out the third and final movie in the franchise. Worldwide, The Hidden World has earned $274.9 million. This year has been off to a sluggish start at the box office and the CGI family movie has gone a long way in helping those numbers, which will get an even bigger boost when Captain Marvel debuts in a few weeks. James Cameron's Alita: Battle Angel held strong at number two this weekend, having earned $12 million. Overseas, the long-awaited movie has fared much better and has brought the global total to $263.3 million. The LEGO Movie 2: The Second Part came in number three at the box office, having earned $10 million. The sequel continues to underperform when compared to the first installment. The sequel has made $136.6 million worldwide since its release. The Dwayne Johnson-produced Fighting with My Family opened with an impressive $8 million, which was more than enough to land the fourth spot this weekend. The movie is about the early life and career of WWE wrestler Paige. Rebel Wilson's rom-com parody Isn't It Romantic took number five this weekend, slipping from number three after earning $7.5 million. The comedy has been getting mixed reviews since its debut. What Men Want took the number six spot this weekend. The comedy was able to bring in $5.2 million, which wasn't enough to keep the fourth position from last weekend. To date, the movie has made $49.6 million globally. Horror movie Happy Death Day 2U took the seventh spot this weekend, having earned $4.9 million. Worldwide, the sequel has earned over $42.5 million in its two weeks in theaters. Liam Neeson's black comedy Cold Pursuit continues to slip and reached number eight this weekend after bringing in $3.3 million. The movie has earned only $35.4 million worldwide since opening in theaters three weeks ago. The ninth spot went to Kevin Hart and Bryan Cranston's The Upside. The comedy was able to bring in $3.2 million and has earned $110.5 million globally since its debut. And at number ten this weekend is Run the Race, which made its debut this weekend. The drama earned $2.2 million. You can check out the rest of this weekend's numbers over at Box Office Mojo.